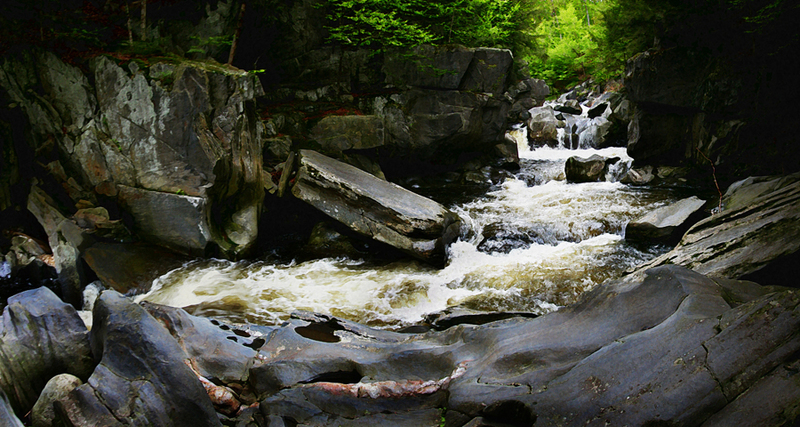 I've known about these falls, actually a gorge, since first coming to Vermont as a teenager. We always called it the Whittingham Gorge, thinking it was in the village of Jacksonville. Today I became aware it is known as the Halifax Gorge, as it is in the town of Halifax..